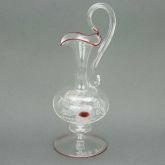 Indulge in Venetian luxury and classic European elegance with this museum-quality authentic Murano Glass Decanter Set. Born in the fire of famous Murano furnaces and entirely handcrafted by the best glass artisans on the island using centuries-old glassblowing techniques, this Venetian Carafe set will allow you to experience the opulence and style enjoyed by the wealthiest Venetians of the centuries past. 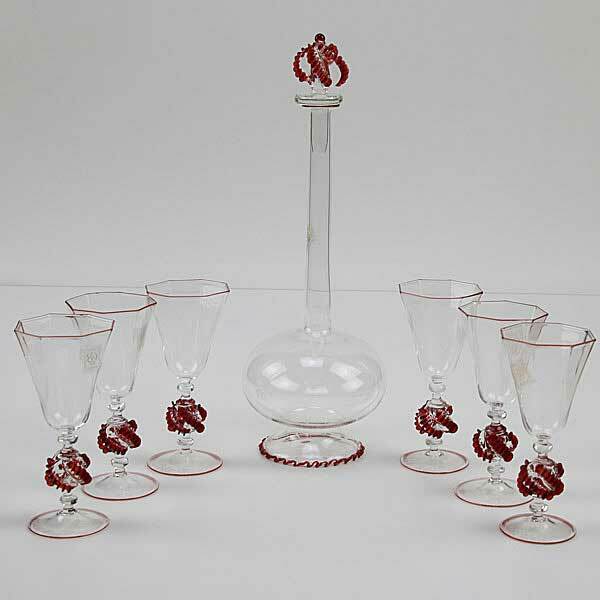 This set is much more than functional stemware, it is a piece of art featured in museums and private collections worldwide which will make your home feel like a Venetian palazzo. Each item is translucent, delicate, and almost weightless as only authentic Murano Glass can be, and each item has an attached sticker proving its authenticity and origin. Furthermore, the certificate of authenticity accompanies each set. The decanter is 10 inches tall (it is 12 inches tall together with the stopper), and 4 1/2 in diameter in its widest part. Each glass is approximately 5 inches tall and 2 1/4 inches in diameter in its widest part. 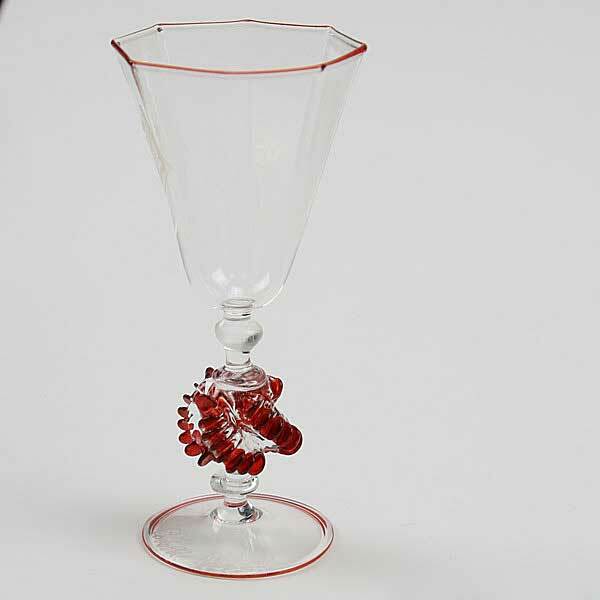 Murano Glass wine glasses, shot glasses, and champagne flutes are among some of the most coveted stemware in the world. 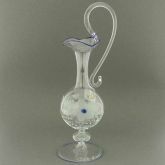 The combination of very light weight, elaborate design, and translucent color is achieved through elaborate process of glass-making, where the master artisan blows and shapes the glass under a small flame. Turning the glass rods to keep the glass in the malleable state, the master creates a ribbed, faceted, or smooth glass surface and adds unique design touches such as flowers on the stem or accents of various colors, creating glasses that draw compliments during wine and dinner parties and make perfect wedding or anniversary gifts.